One needn't be an economist to know that California's economy is in crisis. By a number of very important measures, California is failing. Especially considering the state's status as a bellwether for the rest of the nation, Cali­fornia cannot allow this downward spiral to continue unchecked. It must be reversed—and sooner rather than later. Eureka! is a prescriptive book will provide a true economic roadmap for the rehabilitation of California through actionable solutions. Laffer also looks at other states to endorse practical policies that have resulted in strong economic growth. With the economy flat on its back, unemployment at a twenty-five-year high, and the housing default crisis still worsening, is it even possible to turn our financial problems around? Economic icon Arthur B. Laffer and journalist Stephen Moore believe America can once again become the land of economic opportunity, and this brilliant new book tells us exactly how. In their rousing clarion call against the government's current fiscal strategies, The End of Prosperity, the authors focused on how lowering taxes will promote economic growth. Now, they detail the other crucial components. Simply put, the keys to prosperity are low, flat-rate taxes; government spending restraint; sound and stable money; free trade; and minimal regulation. This book gives concrete proposals on how to return to prosperity using common sense principles of good economic behavior. While most of the proposed solutions to our economic decline are fraught with peril, Return to Prosperity provides a refreshing counterbalance -- a prescription for the fundamental tools America needs in order to set out on the road to recovery. It is essential reading for anyone who worries that the current economy is faltering, with no clear plan articulated to stop it. Arthur B. Laffer's economic acumen and influence in triggering a world-wide tax-cutting movement in the 1980s have earned him the distinction in many publications as "The Father of Supply-Side Economics." The Laffer Curve is one of the main theoretical constructs of supply-side economics, illustrating the tradeoff between tax rates and actual tax revenues. Dr. Laffer's career has been marked by experience and success in business, in public policy, and as an academic economist and professor. Dr. Laffer was a member of President Reagan's Economic Policy Advisory Board for both of his two terms (1981-1989). He was a member of the Executive Committee of the Reagan/Bush Finance Committee in 1984 and was a founding member of the Reagan Executive Advisory Committee for the presidential race of 1980. He also advised Prime Minister Margaret Thatcher on fiscal policy in the U.K. during the 1980s. 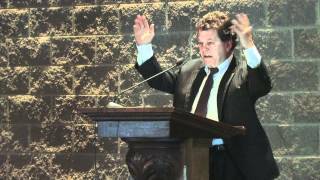 Dr. Laffer has been widely acknowledged for his economic achievements. A March 1999 Time Magazine cover story "The Century's Greatest Minds" deemed the Laffer Curve one of "a few advances that powered this extraordinary century." He was listed in "A Dozen Who Shaped the ‘80s" in the Los Angeles Times on January 1, 1990, and in "A Gallery of the Greatest People Who Influenced Our Daily Business" in the Wall Street Journal on June 23, 1989. His creation of the Laffer Curve was deemed a "memorable event" in financial history by the Institutional Investor in its July 1992 Silver Anniversary issue, "The Heroes, Villains, Triumphs, Failures and Other Memorable Events." He has received numerous awards and recognition for his economic work, including: two Graham and Dodd Awards from the Financial Analyst Federation for outstanding feature articles published in the Financial Analysts Journal; the Distinguished Service Award by the National Association Investment Clubs; the Adam Smith Award for his insights and contributions to the Wealth of Nations; and the Daniel Webster Award for public speaking by the International Platform Association. Dr. Laffer also earned the Father of the Year award from the West Coast Father's Day Committee in 1983. 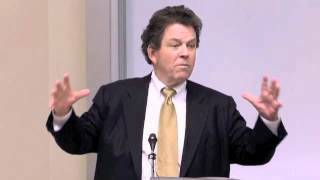 Dr. Laffer is the author of a number of books, including the End of Prosperity: How Higher Taxes Will Doom the Economy -- If We Let it Happen, which was a nominee for the F.A. Hayek book award in 2009, and most recently Return to Prosperity. This speech is based on his book Rich States, Poor States. 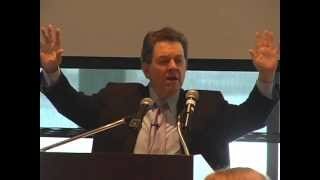 Dr. Laffer discusses the policies, which foster economic growth and prosperity in states like Utah, Arizona and Texas, and compares them with those, which cause economic malaise in states like California, New York and Michigan. He can also provide a focused update on a particular state upon request. This speech examines the effects of a state income tax on various states across the country, with a particular focus on Missouri and the potential benefits of replacing the income tax with a revenue-neutral sales tax. 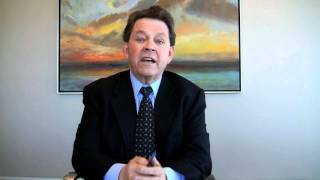 Dr. Laffer looks at the current economic environment and offers thoughts on where it`s headed - short term, long term, domestically and globally - with prospects for investments, interest rates and business growth.